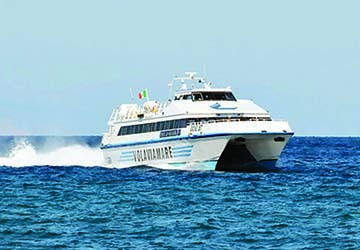 Alilauro - View timetables, Compare and book ferry tickets at directferries.ie. 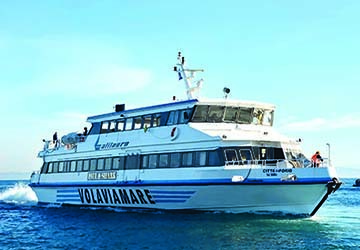 Alilauro is a long-standing Italian ferry company based in the Gulf of Napoli, offering routes between Naples, the Sorrento Peninsula, the Aeolian archipelago and the beautiful islands of Capri and Ischia in the Tyrrhenian Sea. In 1944, Agostino Lauro sailed from Ischia to Capri in his vessel named ‘Freccia del Golfo’, who then established a tourist route between the two stunning islands. 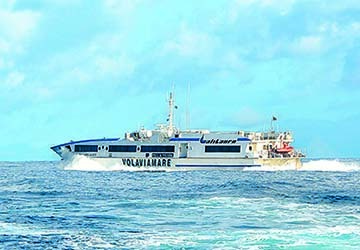 Twenty-two years later, he expanded his fleet by purchasing three small hydrofoils and, today, Alilauro boasts over thirty ferries. 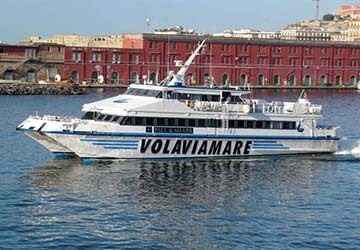 Now run by Agostino’s son, Salvatore, Alilauro has since become a holding company with over five hundred employees and associates, carrying over three million passengers each year. 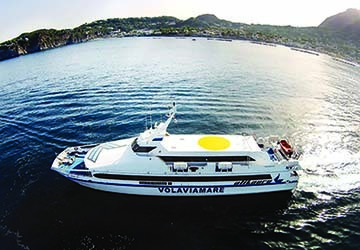 Their fleet comprises large catamarans, monohulls and modern hydrofoils, which are for foot passengers only, with free Wi-Fi available aboard ‘Celestina Lauro’. 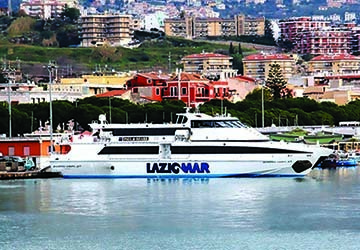 Every ferry comes with large seating areas, too, allowing you to sail in both comfort and style throughout one of Italy’s most picturesque regions. 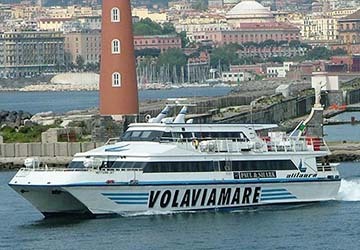 Direct Ferries provides a ferry timetable and price comparison, based on your search criteria, allowing you to compare Alilauro products with multiple ferry company timetables and fares in one search. 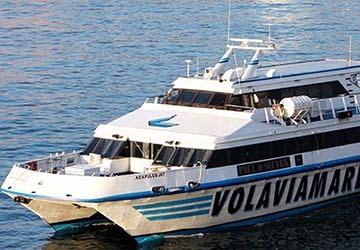 Compare Alilauro timetables and prices now with all alternative ferry operators before booking your ferry ticket to ensure you get the best option for your ferry trip. Excellent, efficient ferry company, will use again. 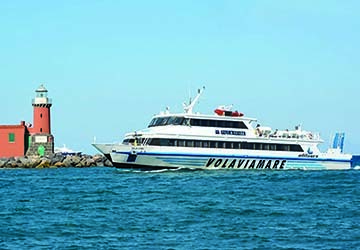 We booked the ferry a few weeks prior to travelling as we wanted to be sure to catch the right ferry at the right time and avoid the queues at the ticket station. 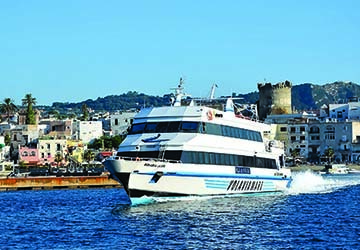 Timing was important as we were coming into Napoli on a cruise ship and we wanted to visit Sorrento. We needed to be sure the ferry back was timed in order to arrive back in time to re joining the ship. Everything went according to plan and the service was excellent. This is the second time we have done this and would highly recommend this method of visiting Sorrento. "Ischia to Napoli 10th Septembet 8.40am"
One of your crew saved me and a few other stray passengers by seeking us out at the wrong dock... I would have missed my flight at great stress and expense. Thank you for your care. It was a very quick and smooth journey! Grazie.